North Korea appears to have made a significant leap in its nuclear program over the weekend, dramatically escalating the threat to the U.S. and its allies. The rogue regime, undeterred by international pressure, conducted its sixth nuclear test Sunday, detonating a possible thermonuclear device with an explosive yield of roughly 150 kilotons, according to the U.S. government. The North’s fifth nuclear test involved a bomb with an explosive yield somewhere between 10 and 30 kilotons. Low-end estimates of the yield of the latest test are around 60 kilotons, while high-end estimates are around 500 kilotons, incredible destructive power. The test followed the revelation of an improved nuclear warhead for North Korea’s new intercontinental ballistic missile, and it is extremely likely that the North specifically tested this device, leading experts argued in the aftermath. “What they show us is going to be the real deal, or very true to life,” Joshua Pollack, editor of Nonproliferation Review and a senior research associate in the James Martin Center for Nonproliferation Studies at the Middlebury Institute for International Studies, told The Washington Post. 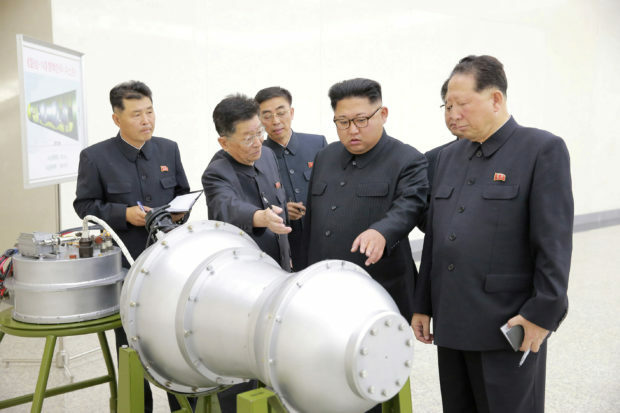 North Korea claims it tested a hydrogen bomb. The U.S. intelligence community reportedly assesses that the North tested either a staged thermonuclear or a boosted fission weapon. The atomic bombs dropped on Hiroshima and Nagasaki, Japan were fission bombs that released destructive energy by splitting uranium and plutonium atoms. A hydrogen bomb, which only a few countries possess, incorporates both fission and fusion reactions in two separate stages. The fusion stage involves smashing hydrogen atoms together to increase the explosive power in much the same way that the sun is fueled. A hydrogen bomb is significantly more powerful than a traditional atomic bomb or even a boosted-fission bomb, which incorporates a small amount of fusion fuel to accelerate the fission reaction and the boost the explosive yield. It is unclear whether North Korea tested a boosted-fission device over the weekend or a thermonuclear weapon as claimed. Even if it turns out that North Korea has not yet developed a hydrogen bomb, the North is clearly moving in that direction. 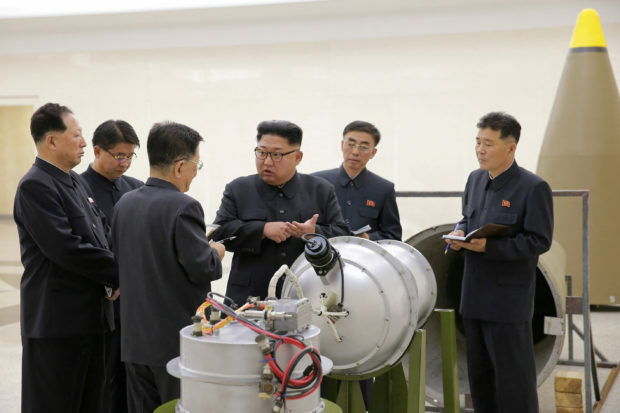 The new warhead North Korea revealed prior to the test indicated that North Korea’s nuclear scientists are not unfamiliar with the designs for thermonuclear weapons, specifically the Teller-Ulam design. In a two-stage configuration, the first stage provides the necessary energy to ignite the second stage. There are several types of fission-fusion bombs though. 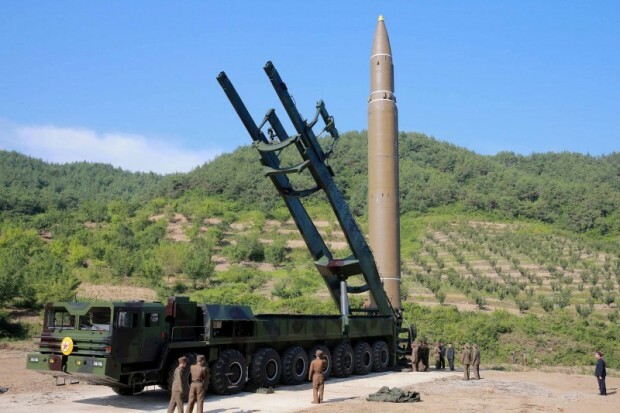 The North plans to load a thermonuclear warhead on its powerful new Hwasong-14 ICBM, which expert observers and the U.S. government say has the ability to strike parts of, if not most, of the continental U.S. North Korea has tested this missile twice successfully in July. While this weapon may lack a highly-sophisticated guidance system, as some American defense analysts claim, the missile appears to have what it takes to deliver a devastating nuclear payload to targets across the country. “This is a city-busting weapon,” Pollack told TheDCNF, referring to the nuclear device North Korea tested Sunday. “With a thermonuclear weapon sitting atop even an inaccurate ICBM, a single warhead is sufficient to level most of a large American city,” Ankit Panda, senior editor at The Diplomat, and Vipin Narang, an associate professor of political science at the Massachusetts Institute of Technology, explained in a recent post for War on the Rocks. North Korea is moving towards its goal of a viable nuclear deterrent against the U.S. at an accelerated rate.